That Devon is truly unique and what I consider a great piece. What's nice about it is 99% of the population would guess it's just a novelty. Not knowing it's worth more than a small car lol. I think it screams money... It's so unique it's gotta cost IMO. 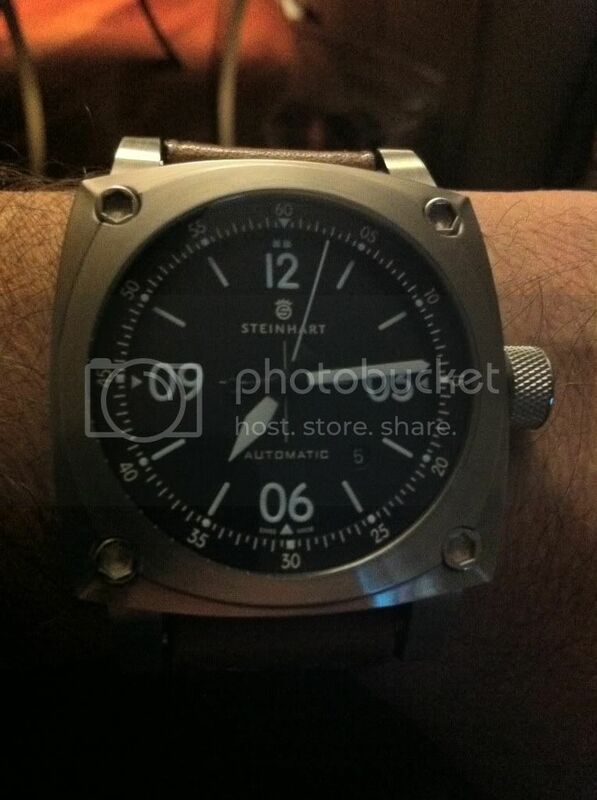 I like the look of the watch but that thing is ENORMOUS. The knob on the side is like the size of my thumb! This is what I had on today. I love the Bell and Ross but that thing is retarded big. I sent them a letter asking why they would kill a perfect product... they sent me back a brochure of their new ugly versions. They've introduced a whole new line of "Classic" watches. You wear a $15,000 watch? I found a watch I liked today at Costco. I am, however, reluctant to part with $800 even though I have a $150 rebate. I'd back away from anyone I saw wearing that! Looks like an IED. Or get tag-teamed by a Joker and a Penguin. That is a serious f'n watch. I love my Bulova. It's nothing too special, but small and tells time accurately. And I haven't destroyed it yet. I have an older (1982) Sieko dive-style watch. I would like to have the face replaced so the luminous markings are visible at night. Can any authorized Seiko dealer handle this? Last time I sent it in was through Alpha Omega, who is out of business. It probably wouldn't be worth the money to have a Seiko dealer do it. You can get a new Seiko diver online for under $200. You could send it to someone like Bob Thayer Jr for a new dial ( http://www.bobthayerjr.com/ ). 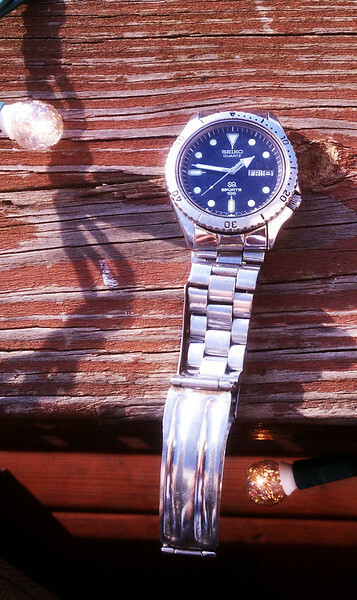 There's a bit of a cottage industry out there for Seiko diver overhauls. One of the companies doing it early on, Mk II Watches, actually went on to become a full-fledged watch company. As is with almost anything else it would be much cheaper to replace than to fix/modify. But if you are looking for a great place then Jay from Motorcity is very good. Not sure what you need but some times the original face can just be relumed. Last edited by Charlief; 12-07-11 at 06:24 PM. Ranger School so it has sentimental value. Post up how you make out with the repair. Last edited by Charlief; 12-07-11 at 08:30 PM. Charlief amd Mark, thanks for the referrals. I'm going to check with the Motor City folks about a re-lum and working the bezel, currently stuck. This is the watch. It's a Seiko Sports 100 (8229-601A) which I understand are not of any real value but does keep good time. Last edited by Garandman; 12-09-11 at 02:33 PM. Heard back from Motorcity. They don't usually relume my model and the guy they send it out to is backed up 3-4 months. He recommended someone else. The relume isn't particularly pressing and it keeps narly perfect time as-is. 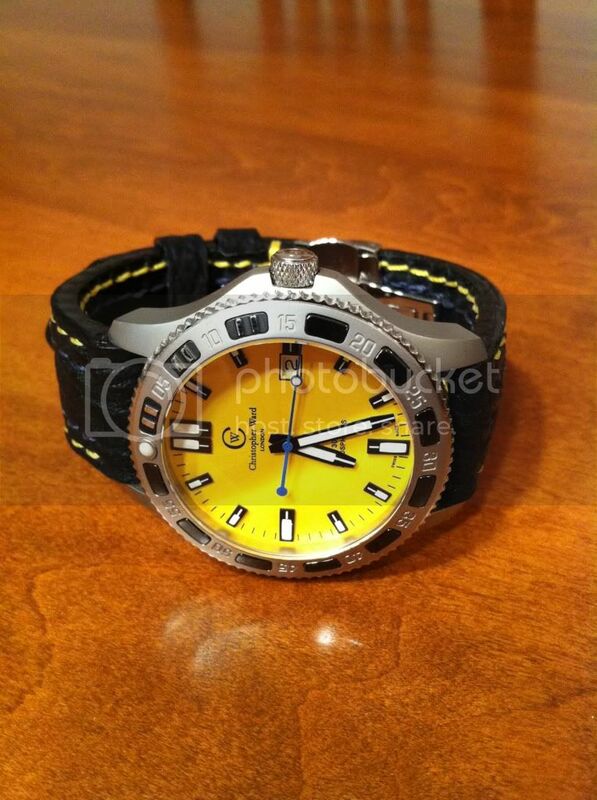 I would like to switch to the rubber diver's band instead of the metal bracelet. I'll have to measure the width, I imagine it is the 20mm model. Last edited by Garandman; 12-11-11 at 10:46 AM. Heard back from Motorcity. They don't usually relume my model and the guy they send it out to is backed up 3-4 months. Try The Watchmaker in Stoneham. They're not fast but they're very good. They also sell new and refurb pieces. I just scored a mechanical Hamilton during their winter sale. Ok so I was at your house and you didn't show this? You know I collect watches too!? We are brothers from another motha! Last edited by Charlief; 12-18-11 at 04:33 PM. 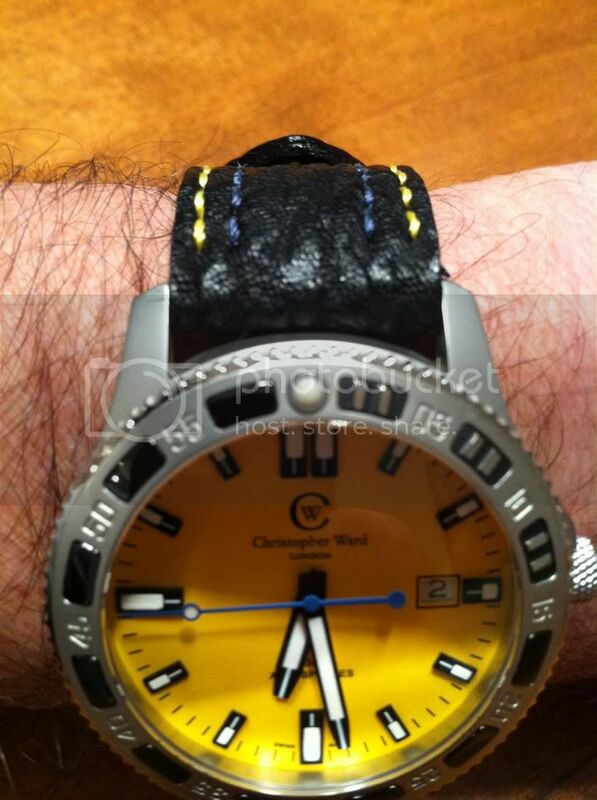 I recently upgraded one of my dive watches with a custom shark strap. Matching stitching with the dial and sweep hand. Holiday gift to myself. Last edited by Charlief; 01-02-12 at 09:15 PM. Just got this in the mail today. 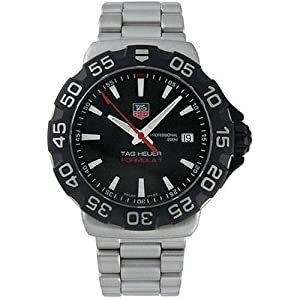 A German designed watch made in Switzerland. A big watch at 44m but wears much smaller. My second watch by this boutique brand. Yeah, we do run the same paths. No love for Oris? Just picked up a TT1 date.